Any non-bank holiday weekend during term time, will only cost you 50p per night, per field. We also won’t charge you to use the site of an evening for Scouting activities, with prior booking! 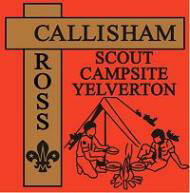 I'm not sure if any of your groups use the Callisham Cross Campsite at Yelverton but if they do I thought the kids maybe interested in knowing about my research in the area. Just IN the woods, at the far left hand corner of the second field, is a large depression in the ground. This is the blown up remains of a World War 2 Auxiliary Unit Operational Base. During World War 2 a SECRET resistance organisation was set up in the event of German invasion. 6-8 local men who knew the land were chosen and trained in explosives, silent killing and gurrilla warfare. In the event of invasion they would have gone to ground, living out of these secret underground bases. Under the cover of darkness they would have came out to blow up railways, roads, bridges etc to slow the German advance. Please see this link for more general information about the units http://www.coleshillhouse.com or see below for what I have found out so far on a patrol on nearby Ugborough http://www.coleshillhouse.com/ugborough-auxiliary-unit-patrol.php . Just thought some of the kids may be interested in the thought that had they camped there during the war they would have been camped next to this secret base containing enough explosives to blow up half of Plymouth.